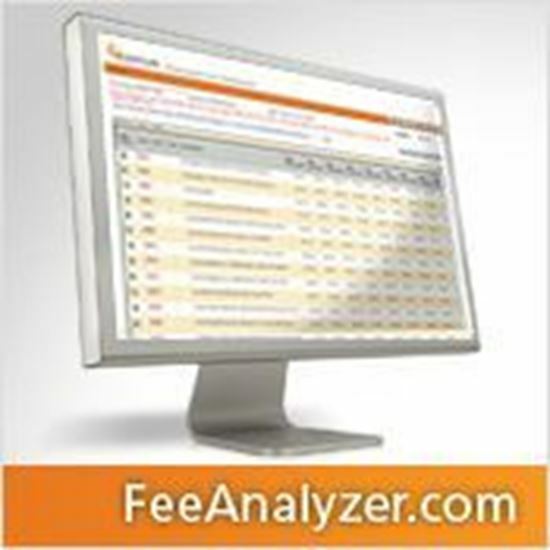 FeeAnalyzer.com is an online subscription service that provides access to relative and actual physician charge data for a specific geographic area as well as national charge data for HCPCS codes. These are the fees your competition is charging. Medicare fee schedules are also included for a complete perspective. The data is updated throughout the year to ensure users have the most current data available. This powerful data source makes it easier for physicians to set defensible fees while maximizing revenues. • Includes CPT®, CDT, and HCPCS codes. Percentiles of charge data and Medicare fees for three code sets at your fingertips. • Begin reviewing your fee schedule earlier in the year. No more waiting for your hard-copy book; access up-to-date data with updates throughout the year. • Real-life claim data from the FAIR Health database of over 2.5 billion current charge records. Develop and maintain competitive fees while having defensible data during contract negotiations. • Reference multiple percentiles of fee data for CPT®and CDT codes. 50th, 60th, 75th, 80th, and 95thpercentiles of charge data in your area to benchmark where your charges fall relative to those of your peers. Multiple percentiles facilitate more accurate adjustment of charges. • Purchase additional geozips for comparison or for offices in other locations.See how charges vary based on geographic area. • Reference multiple percentiles of fee data for HCPCS codes. 25th, 50th, 75th, and 85th percentiles of national charge data for HCPCS supply and service codes. • Fee Loader for fee schedule development. Import and modify your practice’s fee schedules using commercial charge data and Medicare fees for comparison. Import payer fee schedules for added analysis capabilities. Export revised fee schedules.